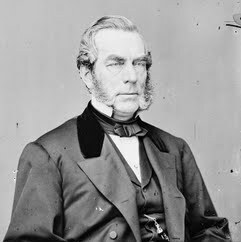 Edwin Denison Morgan was the 21st Governor of New York from 1859 to 1862 and served in the United States Senate from 1863 to 1869. He was the first and longest-serving chairman of the Republican National Committee. He was also a Union Army general during the American Civil War.